Wild Women hike the historic landscape of Southern California and beyond. Trek Native American terrain, travel stagecoach roads, explore abandoned mine ghost towns, discover weird and wonderful historical oddities that are off the beaten path. Experience history in a whole new way on weekly guided hikes. MEMBERHSIP IS FREE! Or upgrade to Premium "WILD ADVENTURER" MEMBERSHIP and enjoy discounts on Hidden Treasure Trex guided hiking history tours for you and your guests, as well as receive special invitations to join select hiking history tours "at cost", meaning just for the price of food or parking. 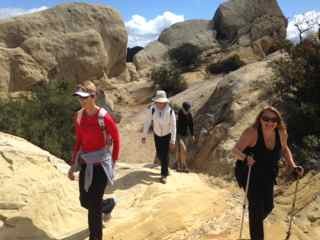 Wild Women Hiking is proud to be one of the few hiking groups in Los Angeles that is legally permitted by the park services to lead guided hikes on park land. The permitting process is arduous and quite expensive, but elevates Wild Women Hiking to a level of professionalism that benefits you! My name is Angeline Duran Piotrowski. I am your Adventure Guide and founder of Hidden Treasure Trex Tour Company and Wild Women Hiking Adventure Club. I am an avid hiker, camper, backpacker, explorer and researcher of ancient civilizations. I am a certified Wilderness First Responder and Personal Fitness Instructor. I'm also an artist, writer, wife, parent to two young boys, and author of theancientsouthwest.com. My favorite trails are the historic routes that have a story to tell about those who passed there long ago, and there are many in the Los Angeles wilderness that sheltered native villages, Spanish ranches, gold miners, oil tycoons, and movie stars. I look forward to guiding you through our local wilderness and sharing some cultural history and natural beauty that can only be found on foot. When I tell people about my solo day hikes and backpacking trips, the first thing most women say to me is, "Aren't you afraid out there by yourself?" I've heard this question so many times that I've come to realize that the fear of hiking alone is holding many women back from experiencing the amazing treasures in wilderness. That is no longer a problem. This club provides hiking buddies and all of them are women (so no worries about unfamiliar men in the backcountry either). It also provides a members-only website that keeps our meeting spots, and member roster accessible only to members in good standing. Personally, I have found strangers on the trail to be friendly, helpful and generous fellow hikers, but I can understand why some people, especially women, may feel vulnerable alone on the trail. What this group offers is safety in numbers and the chance to spend time with other friendly, supportive, inclusive, fun-loving women who enjoy hiking. This group does not promote or support any particular sexual orientation. There are all ability levels and we do our best to plan adventures that appeal to everyone. Men are welcome to accompany members as guests, but only women may become members and have access to the club roster and chat groups. This club is for the ladies. 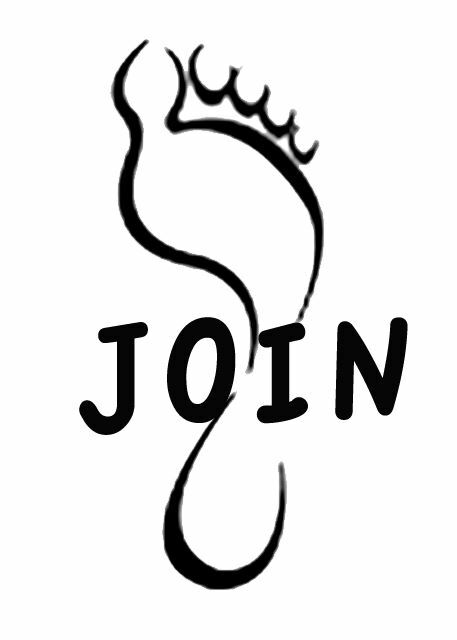 Women age eighteen (18) and over are invited to become members. Wild Women Hiking is the just-for-fun-and-adventure arm of Hidden Treasure Trex, a professional guide service. How does that make it better for you? Safety and experience. Please read on. Wild Women Hiking is one of the few hiking groups in Los Angeles that is legally permitted by the park services to guide hikes on parkland. The permitting process is arduous and quite expensive, but elevates Wild Women Hiking to a level of professionalism that benefits you. Adventures are scouted on foot and mapped in advance to plan route and mileage. Maps are distributed for each hike if possible (it is almost always possible) so you can revisit the hike or choose a different pace than the group. Our dynamic website provides privacy and security to members. Dues support the website fees, advertising that help women like you find this group, the security of having a trained and certified guide, and the confidence that your guide has been recognized and approved by the park service to lead you into the wilderness. More than all of that, we feel that our adventures create an inclusive and supportive atmosphere that is unique amongst outdoor adventure groups. Our members thrive and become empowered in unexpected ways. We invite you to experience it for yourself. 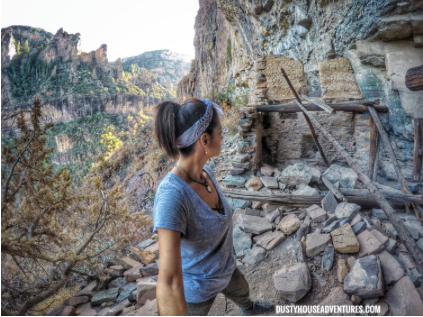 Wild Women Hiking Adventures are curated and lead by our Adventure Guide, Angeline Duran Piotrowski. Our hikes are selected because they are the most historically interesting and naturally beautiful trails in the Greater Los Angeles Area. From time to time we also go on overnight camping adventures further into epic wilds beyond L.A. Wild Women Hiking leads vigorous day hikes into the Santa Monica Mountains, along the Malibu Coast, throughout Los Angeles Basin and Foothills including Griffith Park, and parts of Ventura County. Incidentally, as a fitness program, hiking burns around 400 calories per hour and unlike the gym, has no walls. 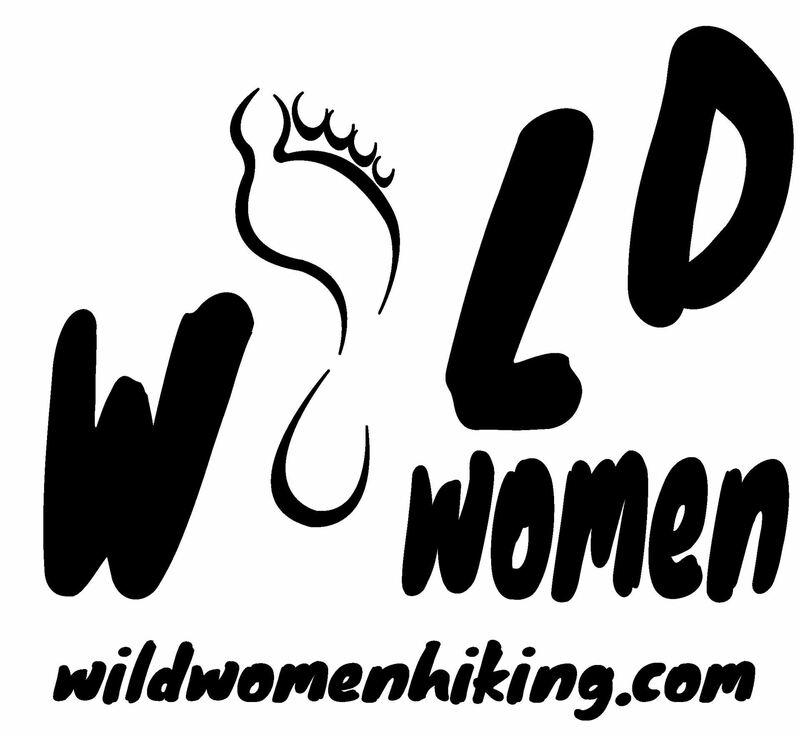 Wild Women Hiking is proud to be in its sixth year specializing in women-only wilderness experiences. Days: Weekly Wild Women hikes are on Fridays. Hidden Treasure Trex and Weekend Adventures are on various days. You can choose from several hikes per month. Wild Women Hiking weekly hikes are Friday mornings and premium Hidden Treasure Trex are scheduled variously throughout the week. Wild Women Hiking participants are all members of Wild Women Hiking. The number of people in attendance varies from just you and the Adventure Guide to a whole rowdy bunch. The bottom line is that you will always have a buddy to hike with, so you can feel free to venture into the wilderness with safety in numbers. Rain and forecasted temperatures of 90+ cancel hikes. Our hikes are for people only. Members may access our Hiker Handbook which has more information about local regulations regarding dogs on trails. Members are automatically invited to all our Adventures. Hikes begin promptly as scheduled, those arriving late will be considered "no-shows", so make sure to arrive early. If you know you won't be able to make it, text or call Angeline so that we don't all stress out over your absence -- we care. 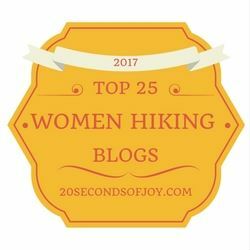 "Top 25 Hiking Blogs You Must Follow in 2017"